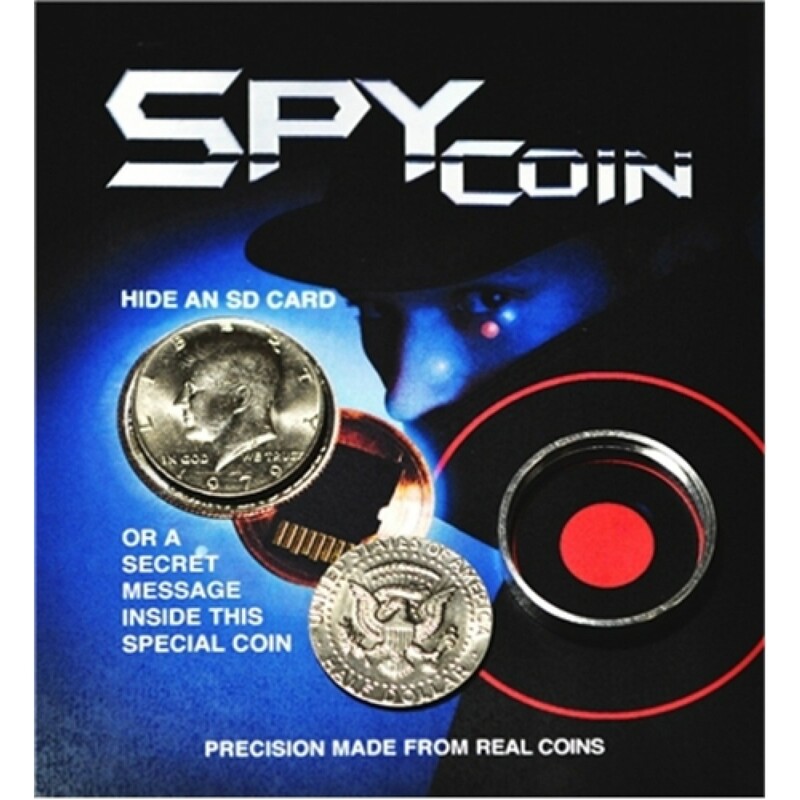 A special locking hollow coin that can be used to hide secret messages. 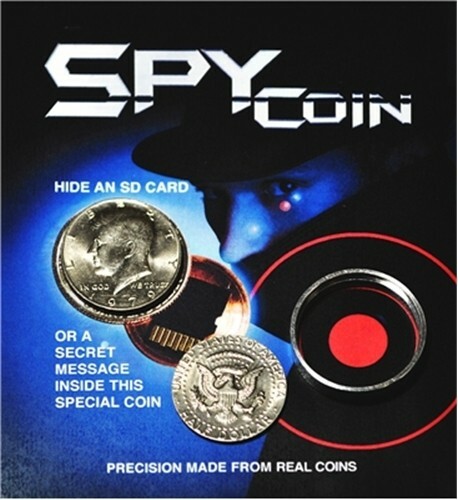 Special coin that opens using the supplied unlocking tool. 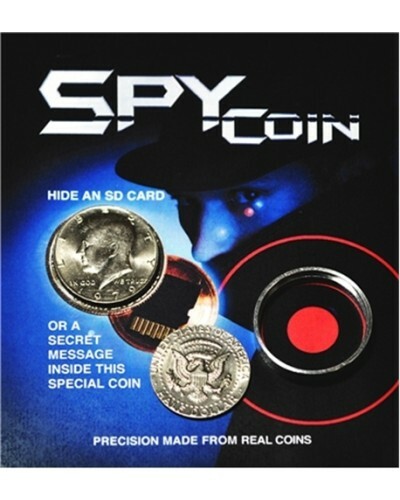 A secret message or micro sd card can be hidden inside the coin. A similar device was used by Russian spies during the cold war. Full color mylar package with hole for hook display.